The theatre, or sometimes spelled as theater, is a beautiful form of art, and we could even say it’s a whole lot better than movies. The reason why we some of us think theatre surpasses movies is the fact that in theatre, the actors will need to give their all—and they mean all—of their talent to be able to portray their characters well. In movies, there are different takes that if one actor messes up his/her line, the director can just instruct the camera operator to stop rolling and then they can just start all over again. This is not the case in stage plays as everything has to be done precisely and in real time. And in movies, the camera can just zoom in to the actor’s face to catch their facial expressions, but in theatre, the actors don’t rely on facial expressions alone to let the furthest audience member know the emotions they are feeling. 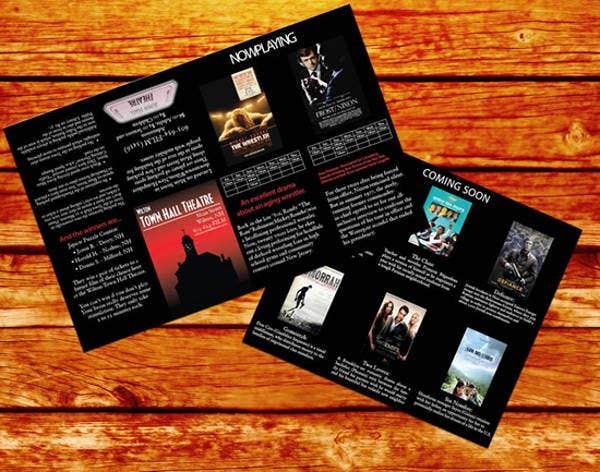 If you are looking for templates that you can use to promote your theatre or your play, then check out our collection of theatre brochure template. 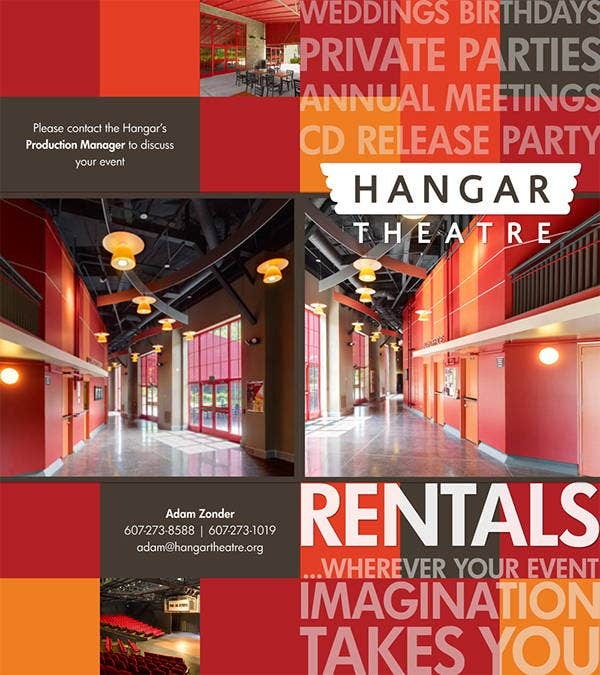 Brochures are good advertising tools that companies and businesses use for advertisement and/or promotional purposes. It could be used to promote either the company itself or their products and services. These can provide an easy way to get the word out about something. 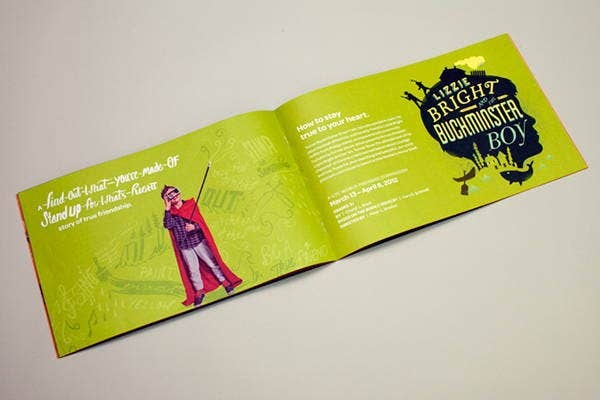 Brochures can be used to promote awareness about a company, their product, or service without having the need to make public announcements or billboards. Brochures can also help in building the legitimacy of a new company. And if the people will know that their company is legit, then they can also build trust towards the company. Distributing brochures is an easier and faster method of sending important information and messages to prospective customers. 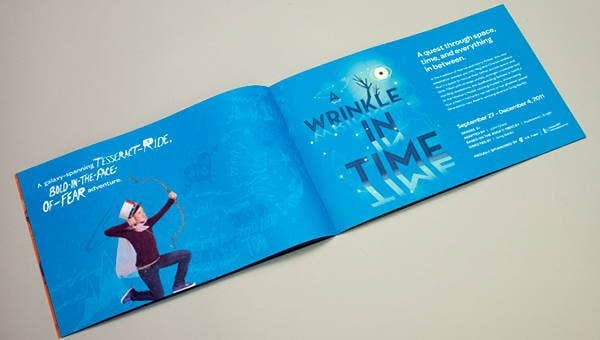 Compared to other advertising methods, the distribution of brochures is less expensive than the others. 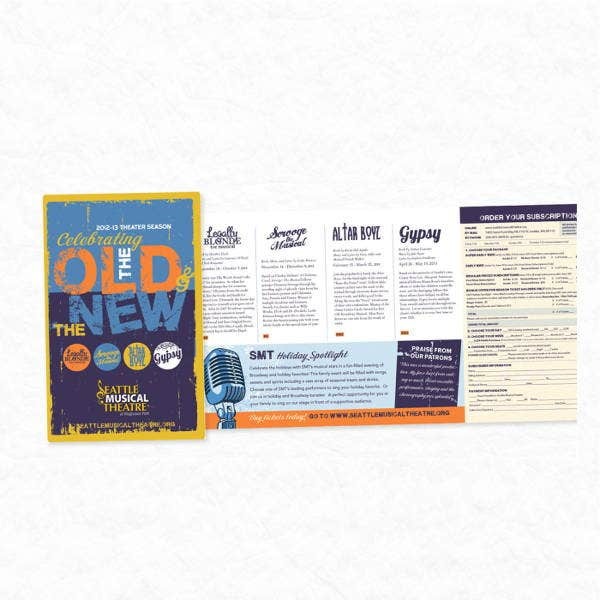 If you prefer brochure templates that can be folded into three divisions, check out our collection of Trifold Brochure templates. 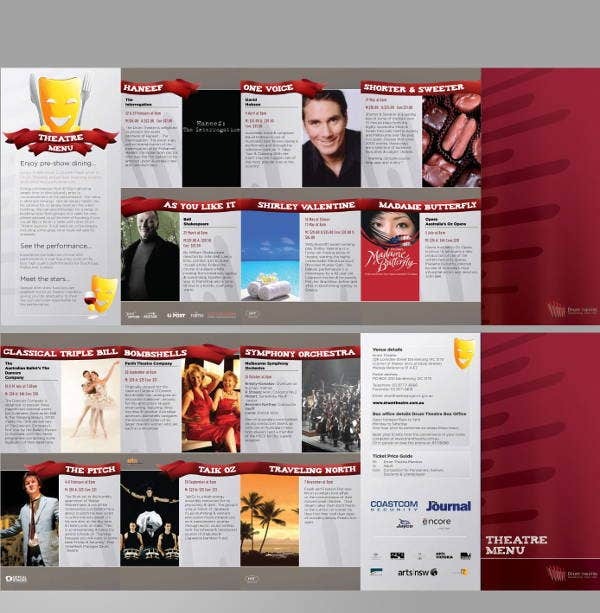 However, if you prefer the booklet type, then check out Bi-Fold Brochure Template. We have it all, and it’s all up to you on which template suits you best. Determine your purpose of distributing brochures. Know why you need to do it as well as why the public would want it. Don’t use too much fonts. Three is the recommended maximum number of fonts—one for the heading, another for the subheading, and a third one for the body itself. Choose the right size and type of paper. If you want to look professional, then don’t settle for cheap materials. Determine what the public wants, not what you want. Put yourself in their shoes and think of why you should be interested in reading the brochure and not throwing it to the garbage bin straight away. Concise and short is the way to go. Your brochure should be able to cater to a wide range of people, so as much as possible, use simple words and simple thoughts. Project your ideals. To be able to gain the people’s trust quick, then make sure to leave them with a good impression of the company. Were you able to find what you were looking for? If so, then don’t hesitate to download it now. 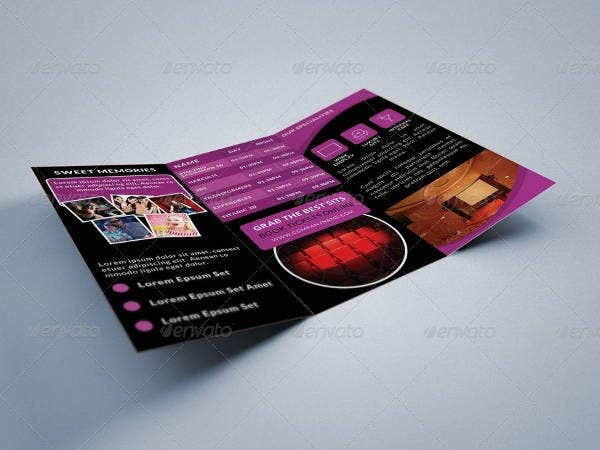 These brochure templates can be downloaded easily by anybody who has good Internet connection for a fairly reasonable fee. You may choose to download any of these templates in either PSD, AI, InDesign, or Vector EPS formats, depending on which one suits you better. For even more templates to choose from, you may also check out our collection of Square Brochure templates. If, however, you couldn’t find what you were looking for on this page, then feel free to scroll down and check out the links to other related content found all over our website.